It's been a while since I used my ice cream maker. In fact, it had a layer of dust so thick, it needed a double wash down. With the warm weather we are having, I decided a homemade cold treat would be good. I also wanted something our little guy could share with us. This recipe is the most basic of basics. It's got four ingredients and could not be easier to make. Peel and cut the pulp off your mangoes. Blend with the juice of one lime. It will create a delicious, thick mixture. In a separate bowl whip your egg whites until frothy. That's about a minute or so of whipping. They will look bubbly. In another bowl mix the cream and mango mixture. Fold the mango/cream mixture into the egg whites. Folding is what it sounds like. 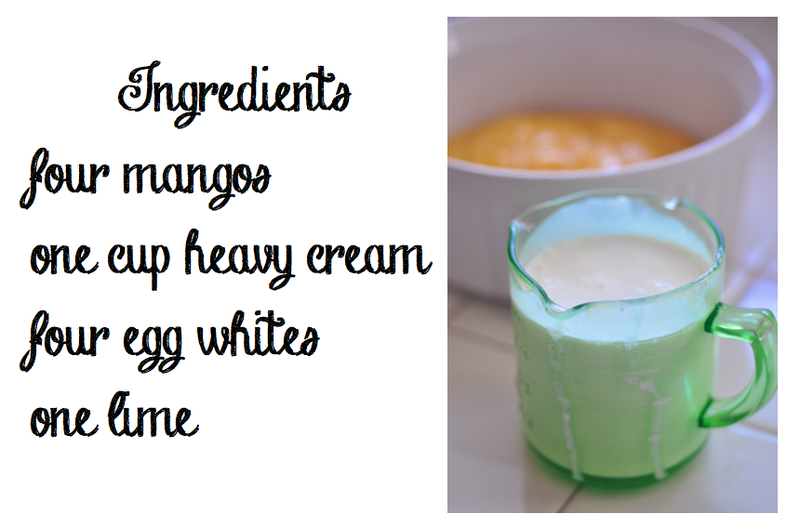 With a rubber spatula fold the egg whites into the mango/cream. Pour the mixture into your frozen ice cream maker bowl (or do it by hand, mixing and freezing). 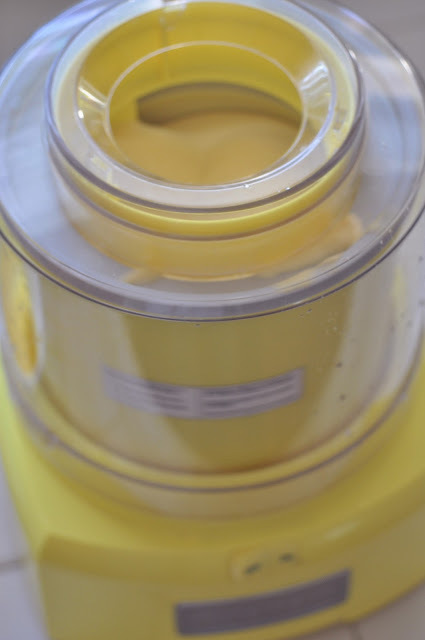 In an ice cream maker it takes about twenty minutes for the mixture to become ice cream. If serving at a party, garnish with limes in a decorative bowl. If not, go at it in the freezer bowl! 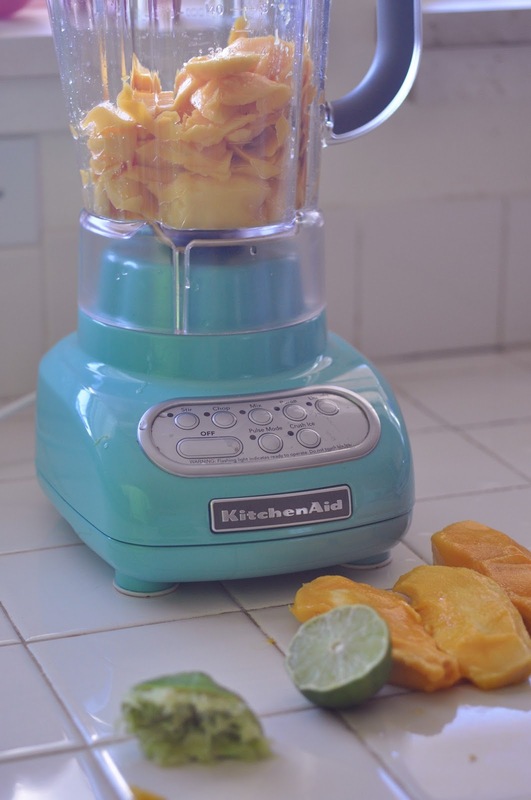 yum and i love your mixer!